It was only four weeks long, but the first ever division 1 women’s Thai League competition has been run and won – with Chaiyaphum coming out on top. 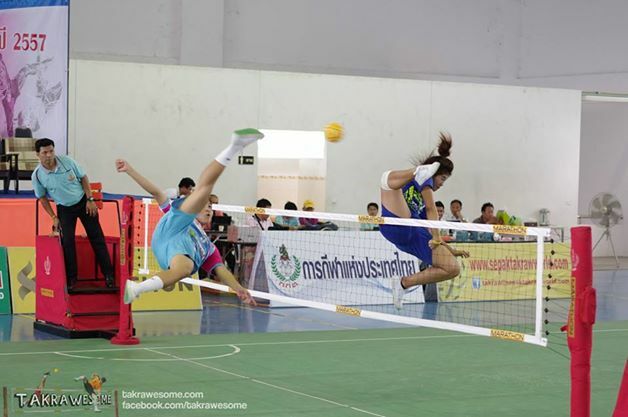 The league was run as a four round series, with each round of competition taking place in one location over four days, between eight of the best teams in Thailand – Suphanburi, Ratchaburi, Nakhon Pathom, Chaiyaphum, Roi Et, Kalasin, Khon Kaen, and Chainat. The rounds were held in Ratchaburi, Suphanburi, Nakhon Pathom, and finally Roi Et in Thailand. After the four rounds, Chaiyaphum were the champions, with Suphanburi in second, and Roi Et in third place – and these teams earned a hefty pay packet for their trouble; winning 300,000 baht; 200,000 baht; and 100,000 baht respectively. The league started just 3 weeks before the prestigious Asian Games and so no Thai national team players were available to play, which opened the door for younger players to gain some valuable experience. Also there for the sake of experience was the Vietnam national team, who played six of their best in the Khon Kaen team for the first round of the series as a warm up before their Asian Games campaign. It was a disappointing outing for the Vietnamese however, as they couldn’t help their Khon Kaen team make it past the group stage after losing to a determined Ratchaburi team (despite the Ratchaburi team being made of players mostly in their late-teens). Ratchaburi went on to finish third for the round behind Chaiyaphum in second and Suphanburi in first. The remaining three rounds were more or less dominated by the trio of Chaiyaphum, Suphanburi and Roi Et, with occassional good performances by Ratchaburi and Nakhon Pathom. In only the first year of the division 1 women’s Thai League, there was solid competition between the top 4 of 5 teams, however without national team players, and with only four weeks of competition – the series still has a lot of room for improvement. Hopefully when the 2015 season rolls around, we’ll be able to see eight of the best teams complete with national team players fight it out over a few months rather than just a few weeks – until then, congratulations to Chaiyaphum! I've been playing sepak takraw since 2009, and I currently play for the Australian national team. As well as running Takrawesome and playing takraw, I'm also on the committee of the Australian Sepak Takraw Association.